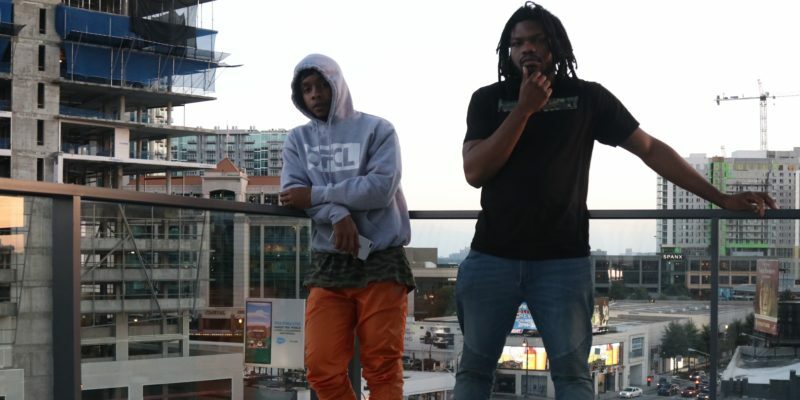 Rap duo Shilla brings together Florida’s HollywoodRoze & Detroit, Michigan’s G.r.i.e.f to offer up a collection of enjoyably ambient, melodic, and emotionally loaded new tracks. Can’t Be Friends kicks things off with a mellow groove and all of the above. The story-line holds close to the sentiments implied by the title, and musically the track settles in well. There’s a smoothness to the whole thing that fuses RnB and hip hop in a subtle but effective way. 3:16’s (Rather Not Sleep) sees a contemporary emo-rap vibe emerge. The leading voice and its subsequent echo create an entrancing melody that works well alongside of this quietly pulsating beat. The music moves in waves, intensifying slightly then falling away. The short lines are quickly memorable and the calmness of the whole thing helps add a level of trip-hop to the experience. An early highlight from the project is the track Alone. The mood fits that of the album in full, but the clarity and the concept here feel hypnotically new. The lesser use of effects allows the soulful, emotional performances and the words to stand organically tall. Those short lines appear again, the dreamlike ambiance too – another calling card for Shilla. There’s something notably crisp and clean about this track though – that late-night vibe is strong, and the emotion, the delicacy, lets it pour through to great effect. It’s a concept many will relate to, and that vibe suits the solitude perfectly well. Roze Cobain leads with an acoustic riff, a heavy dub-style beat, and another emo-rap outpouring. Longer lines help paint a clearer story-line. The duo don’t hold back, these songs are deeply personal and the general aura presented by the music meets the needs of that honesty in just the right way. Dead Wrong follows and takes on the guitar-led influence all the more so. A pop-rock melody emerges, seemingly out of nowhere – you start to see Shilla as surprisingly eclectic; artists in it for the music, not the genre labels. The melody here is gorgeous, longer-form than usual – the music is also considerably brighter and fuller sounding. Things are broken down to the almost acoustic for Confessions 3. The vocals are beautiful, incredibly raw at certain points – that quiet rasp adds so much emotion to an already passionate and genuine song. The lyrics offer purity and longing in a relatable yet not commonly presented way. This project soon shows itself to be the perfect go-to for the thinkers and dreamers who utilize time alone when coming to terms with the world. Confessions 3 is another highlight for its unexpected optimism and musicality. However, Show Me follows and is equally heartfelt and melodically addictive from the offset. Breathy vocals help create a sense of calm as the song plays out. A welcomed hit of upbeat energy comes through with Last Time, an easily recognisable song with a great musicality – partly organic again. The melody and the performance are really strong, that contemporary vibe works well to draw an audience but there’s also something refreshingly authentic and creatively free about the whole approach. 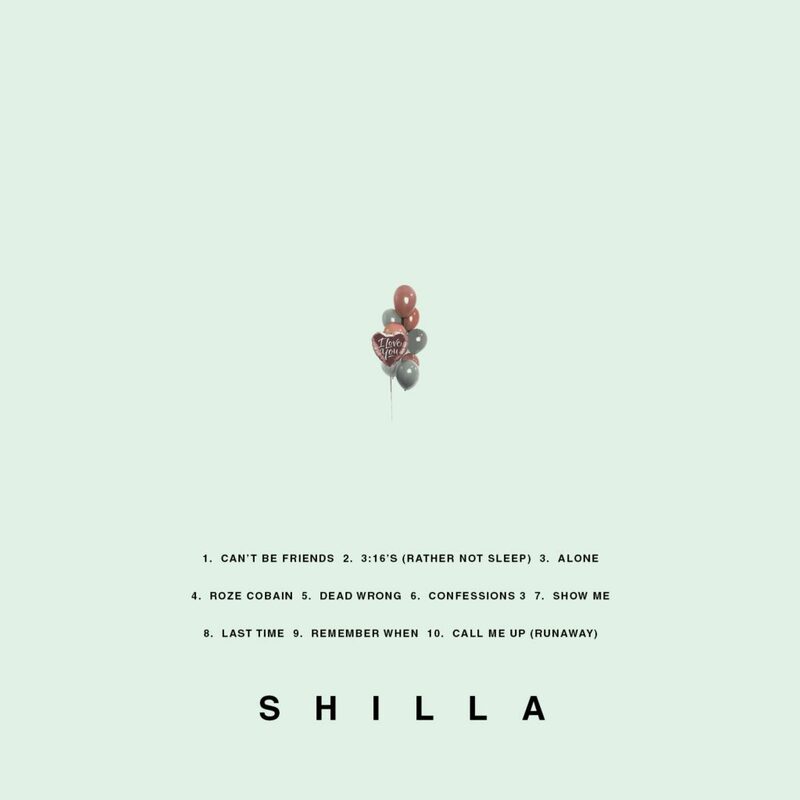 Shilla are an impressive new act, there are fragments of familiarity in the sound at first, but the further into this project you get – the more you hear; the more you see them in their own right. Remember When is another highlight towards the end that reinforces this progression and growth. The album in full is one to escape into whenever the world gets a little too noisy. Call Me Up (Runaway) ends it all with some of the most poetically reflective and poignant lyrics yet. The soundscape is captivating and the performance feels emotionally drained and perfectly well-suited to bring this collection to a memorable finish. The track builds throughout, there’s a powerful drop near the half-way mark – things get all the more immersive and quite stunning from this moment onward. To listen at volume is the most effective way. A strong finish for what is a genuinely passionate and uniquely thoughtful album. Check out the full project via Soundcloud. Find & follow Shilla on Twitter & Instagram.